Miscellaneous letters are a group of letters that form part of business communicating. In most cases, these letters announce a bad report. One can write such a letter to end a business contract, cancel a flight, or claim debts. These letters cover a variety of topics such as employment, sympathy, credit management, order confirmation, business expansion, rejecting a donation, bid, or a proposal. Letters of intent and collection letters also fall under this category. Despite the reason for writing the letter, use a polite tone in the letter. If you are in doubt of the language and words to use in a sample letter will help you overcome these challenges. Before writing the letter, make sure you have your facts right. If you are calling a debt, highlight all the information and data about the case. If the client has didn’t respond to the claim, indicate the number of times you have sent letters to the customer. Taking the example of a business termination letter, explain why you will no longer contact the business with the client. For instance, they are always later in making payments or they never service their accounts. Inform the client about the consequences of ignoring the letter. 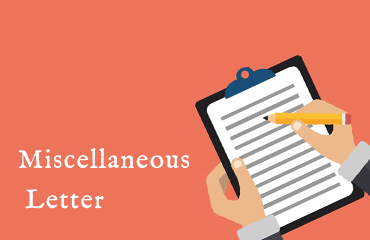 If you write a letter to request clearance of outstanding debts, the letter should serve as an ultimatum. In the letter let the customer know what will happen if the served notice isn’t honored. An example of a conditional letter is a letter announcing discounts or offers to customers if they purchase goods worth a set amount or limit. The letter should show what the customer should do to be eligible for the discount. For example, goods worth $4000 will attract a 5% discount or products worth $8000 will attract a 10% discount. One can write a letter of intent when applying for a job, admission to a learning institution, or seeking a business partnership. The letter should highlight your interest and why you deserve the offer. Your achievements and accomplishments that make you the best candidate for the offer should be part of the letter. Limit the letter to specifics. We demand payment of $ 4300 for invoice purchase number 233456. Despite contacting you three times on the same matter, we have received no payment for this invoice or any communication in regard to the same. We demand a speedy settlement of this debt failure to which we will take legal action. Payment letter: How to Write Payment Letter?